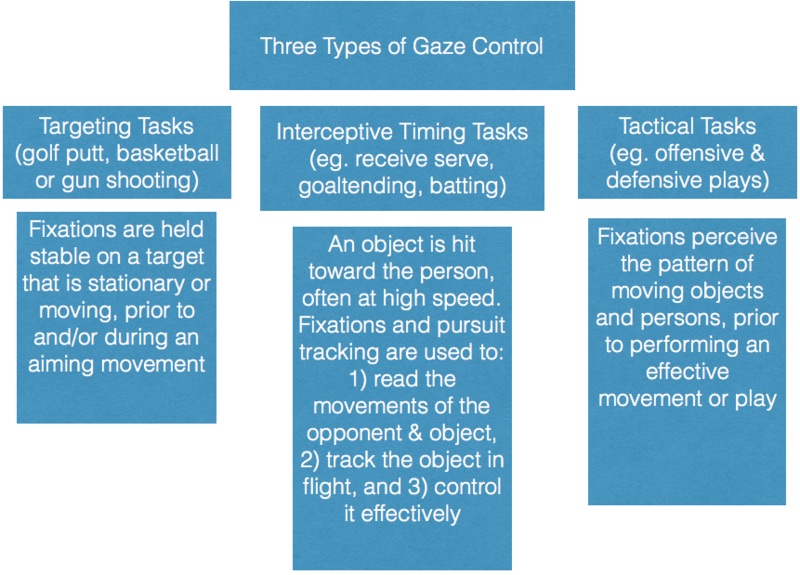 Exercise: Read the characteristics of gaze control used in targeting, interceptive timing and tactical tasks. Watch the videos below and identify if the gaze shown is used in a 1) targeting task; 2) interceptive timing task, or a 3) tactical task. Answers: 1) biathlon targeting task 2) speed skating tactical task 3) ice hockey goaltending interceptive timing task.